Update: The Windows 10 Fall Creators Update is now available, and can be manually downloaded/upgraded via the Windows 10 Upgrade Assistant. Otherwise, Microsoft will automatically push the FCU to all PCs in a series of waves that should last for a few weeks. Microsoft’s Windows 10 Fall Creators Update is what every sequel shoots for: bigger, better, more ambitious than the original. As it rolls out in phases starting Tuesday (see Microsoft's blog post for details), our review focuses on Windows' big, risky bet on mixed reality, plus smarter investments in the pen, creative 3D apps, Edge, and even speech. A ton of practical, everyday additions won us over, including OneDrive placeholders and much longer battery life while watching movies. Taking a page from Apple’s playbook, Microsoft has also chosen to synchronize the Fall Creators Update with new hardware introductions. The upcoming Surface Book 2, mixed-reality devices from a handful of partners, the Harman/Kardon Invoke, and the Xbox One X populate a hardware/software ecosystem that’s a cohesive whole. If Microsoft wins its big bet on mixed reality, the Fall Creators Update could be a nearly five-star release. For now, we think there’s enough here to merit our four-star review score. Feel free to explore it all using the table-of-contents links to the left. Many key features of the Fall Creators Update also merited deeper dives, so in addition to our briefer assessments here we’ve created separate stories, listed below. Story Remix: Make your videos pop! 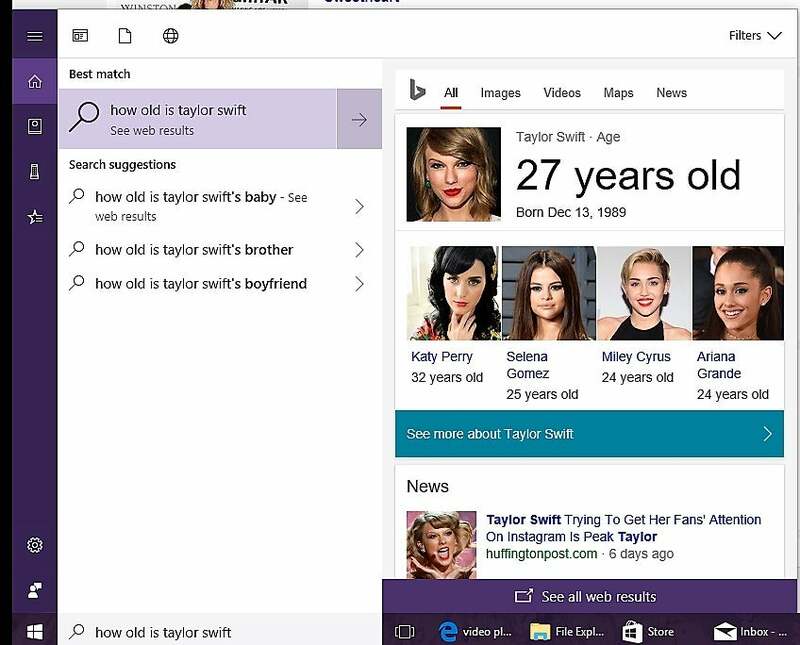 Cortana doesn’t have as many new tricks as in years past, but she will bring up a window of search results, rather than call on Edge to reply. You can use Cortana to lock or even turn off your PC. You can also train her to listen only for your voice, to ward off pranksters. We could begin with Microsoft’s massive bets on new platforms, like mixed reality—but those are also its biggest question marks. Let’s talk instead about three successes within the Fall Creators Update: Photos (Story Remix), Mixed Reality Viewer, and Paint 3D’s new Magic Select tool. Think of the trio as a wealth of fun possibilities. 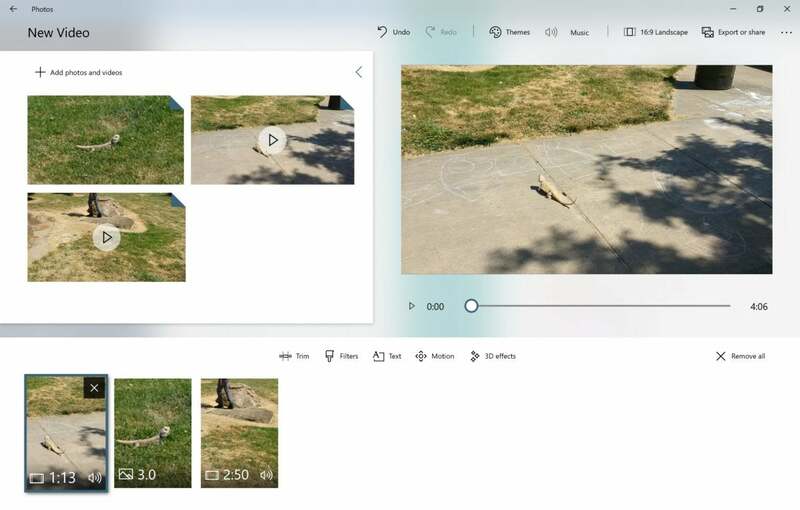 The Photos app remains an excellent basic photo editor, but from there, you choose: Should that photo be part of a photo and video slideshow with Story Remix, with music, transitions, and even 3D objects? Would it work better as a texture for a 3D object within Paint 3D? Wouldn’t that 3D object look great superimposed on a real-life scene within Mixed Reality Viewer...that you could record as a photo? As soon as a Microsoft presenter transformed a soccer ball into an exploding meteor, Story Remix became the most anticipated app of the Fall Creators Update. But it’s not an app; instead, Story Remix is sort of an alternate path within Photos. Story Remix can take a selection of photos and videos and create an album, or turn them into an algorithmically generated movie, or let you take total control and add fun 3D effects. The main slideshow editing page of Story Remix. Some differences between Photos and Photos (Story Remix) feel forced. Your Photos are now stored in a searchable Collection tab that needs to be indexed when you first open it. Once there, you can select photos to create an album, or tap Story Remix to make a Video Remix, automatically trimming them and adding music and transitions. Microsoft may be overzealous in its curation, slicing minutes’ worth of video down to just a few seconds in some cases. If you don’t like the results, you can click the big Remix button and let it try again. Video Project is where you take over, rearranging things as you like and adding transitions, music, and those 3D animations. While the animations aren’t as complex as what Microsoft showed off previously, effects like lightning, laser lights, and portals are still fun, especially for kids. Before, effects anchored to surfaces or objects in the video. Now, you can anchor the effect to a point on the screen. Story Remix will figure out what it is and act accordingly. Adding 3D animated effects is the best part of Photos (Story Remix). There’s definitely room for improvement, but Story Remix remains one of the highlights of the Fall Creators Update. (Read our deeper dive into Story Remix.) Unfortunately, there’s one enormous catch: Microsoft may hold back many of its new 3D effects for Office 365 subscribers, which if true is simply ridiculous. 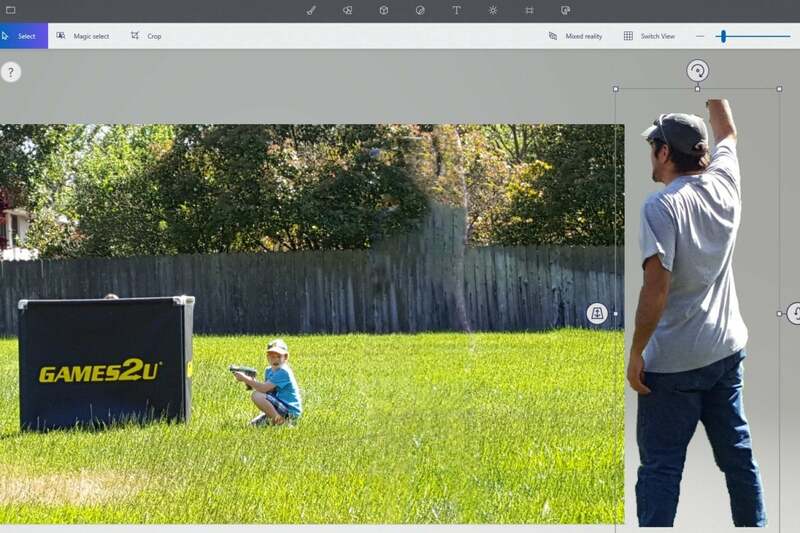 Paint 3D has one significant change in the Fall Creators Update: Magic Select, a tool that, like the Photoshop Magic Wand it resembles, can edit out chunks of a photo as if they were never there. It won’t replace a professional tool like Photoshop, but you can easily cut out and remove unwanted elements from a scene with the Magic Select tool. Magic Select pulls objects out of a scene by intelligently tracing their outline and cutting them out. Then it fills in the background based on the rest of the surrounding image. With other backgrounds, Magic Select has more problems, leaving “ghosts”. The performance varies. Sometimes removed sections left a “ghost’ outline, or the attempt to fill in the background left an odd alteration. The cut-out images tend to be of better quality, and you can insert them into another photo, or apply them as a texture map to another 3D object within Paint 3D. You can use Magic Select as a supplementary tool for photo editing within Paint, or as another creative element within Paint 3D. Our updated Paint 3D tutorial will tell you more. 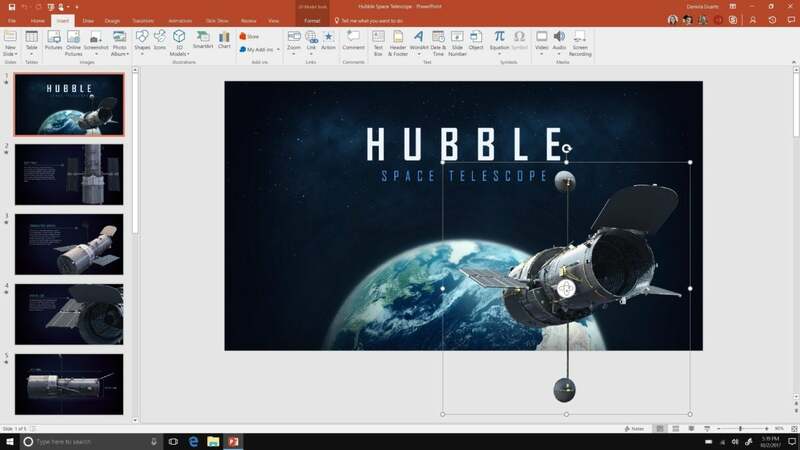 Soon, you'll be able to take 3D objects and add them to PowerPoint. 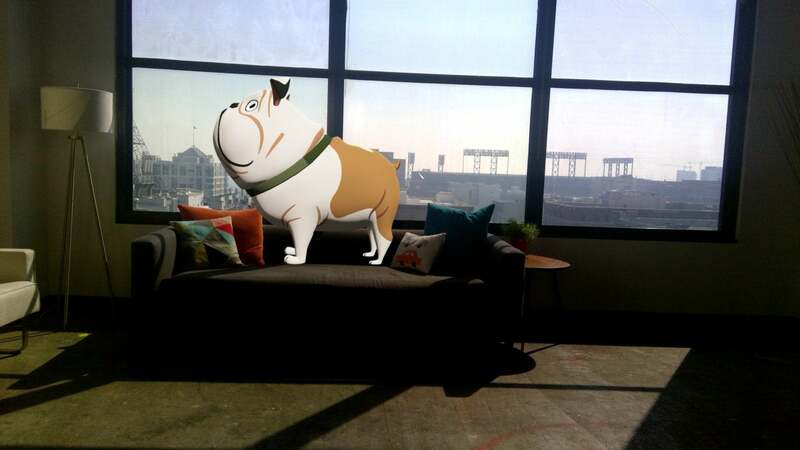 Whether it’s Snapchat’s augmented bitmoji or Instagram’s animated face filters, augmented reality is very much of the moment. 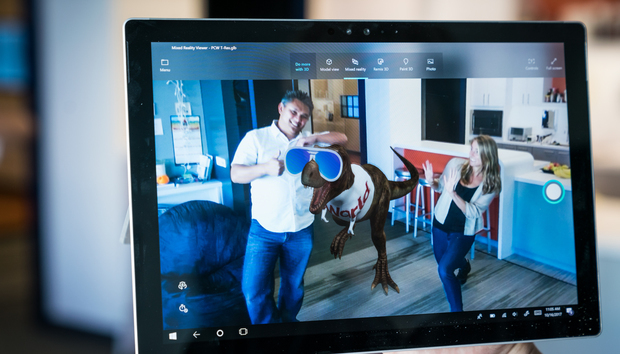 Mixed Reality Viewer is Microsoft’s attempt to jump right in, leveraging its amazing array of 3D objects within Paint 3D’s Remix 3D. 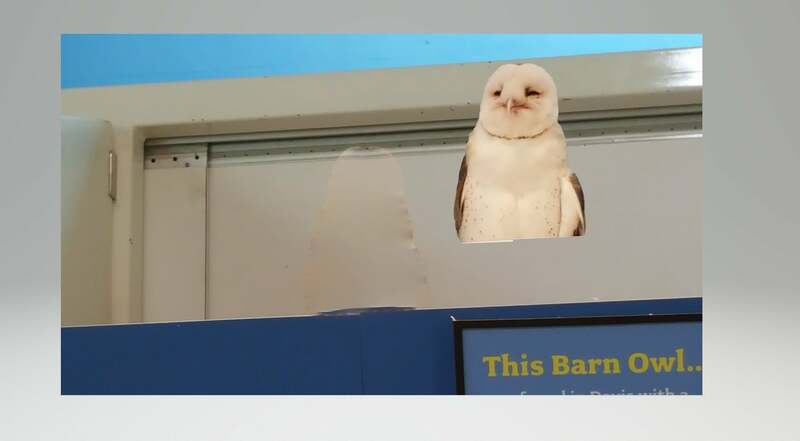 Unfortunately, Mixed Reality Viewer isn’t a mobile app. Instead, it requires a Windows tablet or laptop with a rear-facing camera, so that you can superimpose (just one) 3D object over the real world. 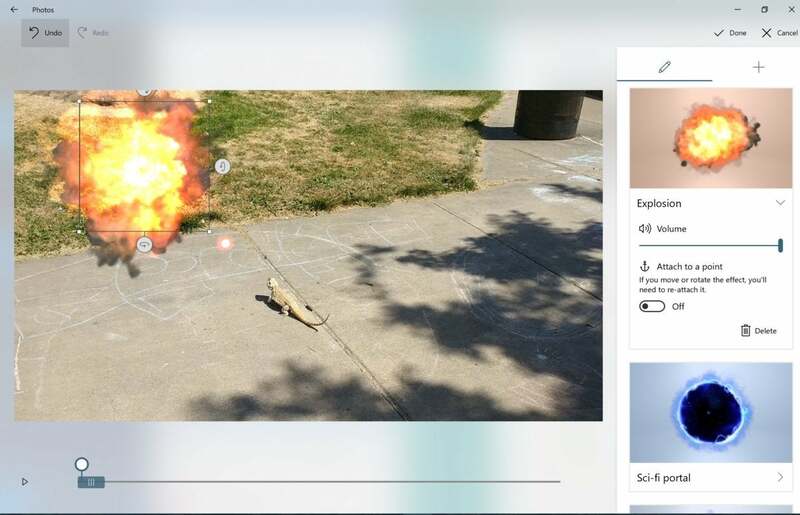 3D objects can be “dropped” on surfaces, which are scanned, HoloLens-style, by the tablet camera. Though it feels more natural to describe Mixed Reality Viewer last in this section of the review, it’s really a starting hub for the other apps. Mixed Reality Viewer actually opens with Model View, which simply plops a slowly-rotating model for you to stare at blankly as you figure out what to do. Through experimentation, you’ll discover that you can alter the model in Paint 3D, or replace it entirely with another Remix 3D model, via the links at the top of the screen. Clicking the Mixed Reality tab launches the external camera, where you can rotate, enlarge, and then place the model within the scene. The app intelligently aligns the model with a real-world surface like a floor, giving a bit more verisimilitude to the giant cowboy taco you just added. 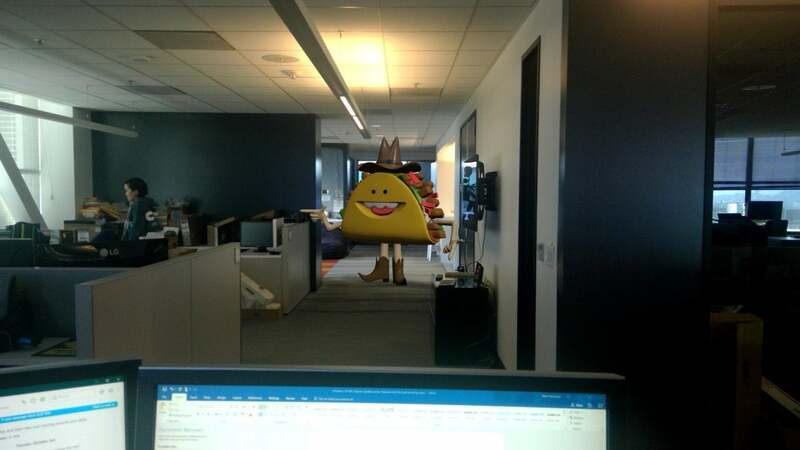 Even a banal photo looks better with a giant taco! Unfortunately, you’re stuck with the tablet camera, which usually offers inferior quality compared to smartphone cameras. Microsoft rarely bothers to promote and explain new apps, and the Fall Creators Update desperately needs to lead users to these apps and show what they can do. Story Remix at least enjoyed some stage time at Microsoft’s Build developer conference. App experiences like Story Remix and Mixed Reality Viewer need to wave at the user when Windows launches, and they don’t. Some extroverts seem rarely able to go a day without checking in on friends and family. For those who like to stay in touch, there’s My People. My People keeps your friends close via icons on your taskbar. Opening them allows you to resume ongoing conversations. I personally find My People too distracting, but some people may absolutely love it. Eventually, I’d love to see it extended to WhatsApp, Facebook Messenger, and more—basically, as a universal communicator for friends on disparate social networks. See our “How to use My People” tutorial and evaluation for all the details. While My People adds a social element to Windows, the addition of the long-awaited emoji keyboard helps transition this review into the more useful additions to Windows. Why do Windows web apps like Twitter and Facebook have dedicated emoji buttons? Because Microsoft never got around to adding them to Windows, that’s why. 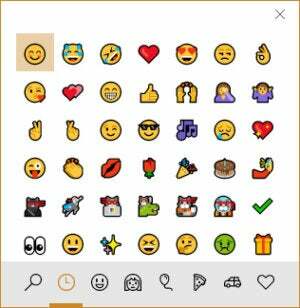 The Windows 10 Fall Creators Update feeds emoji fever: Press the Windows key plus a semicolon, and this emoji input screen appears. Using just one Windows shortcut—I use WIN + ; (including the semi-colon), otherwise known as the “winky”—you can bring up the standard Windows emoji, plus Microsoft’s own “ninjacats.” Emoji used to be restricted to mobile phones or Windows tablets in tablet mode. This is a great addition, but why did it take so long? Next page: Battery-boosting video playback, OneDrive Files on Demand, and more. One of my candidates for best underappreciated feature within the Windows 10 Fall Creators Update is an Apps setting called Video Playback, which smartly recognizes that one of the most popular uses of a laptop on a plane flightis to watch recorded video. 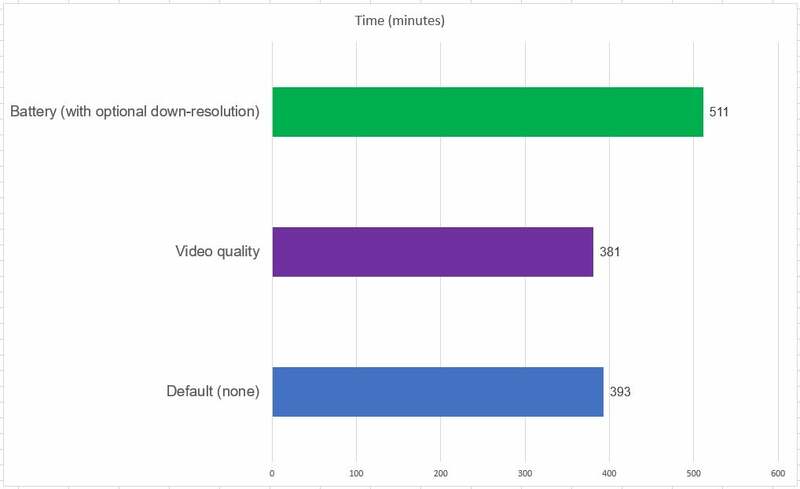 Provided you have compatible hardware, Video Playback allows you to optimize your streaming or recorded videos for one of two things: video quality—including support for HDR video—or to maximize battery life. Tweaking the Video Playback app setting added 30 percent more battery life in this instance. All tests were performed with the power settings set to “best battery life.” We also configured Windows to lower the resolution of the video. Note that these improvements apply only to apps that use Windows 10’s video platform, including the Movies & TV app, but also third-party video apps from the Store such as Netflix, Hulu, and Vudu. YouTube seemed to be unaffected. 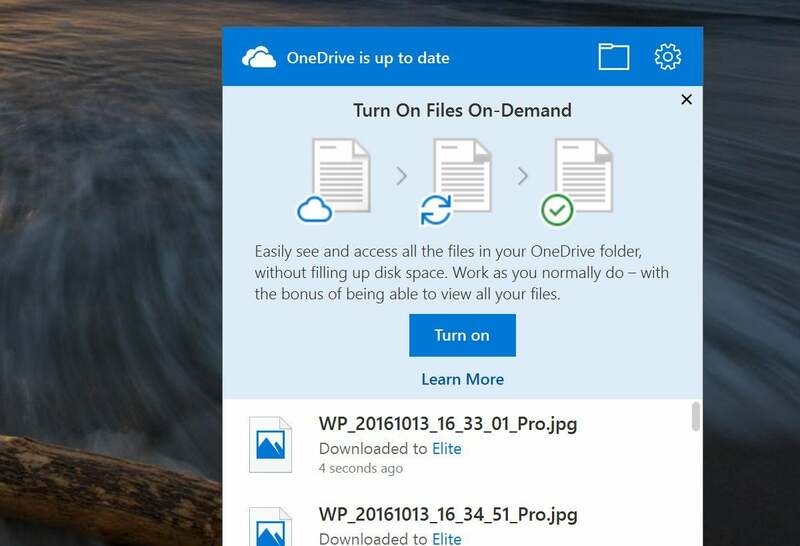 One of the small, long-awaited conveniences within the Windows 10 Fall Creators Update is OneDrive Files on Demand, the “placeholder” technology for syncing files with OneDrive. When Windows 10 launched, syncing files with OneDrive put one copy of the file on your hard drive, and another in the cloud. Given that OneDrive allows up to a terabyte of OneDrive storage with an Office 365 subscription, this was untenable. To turn on Files on Demand, you’ll need to right-click the OneDrive icon in the taskbar and open the Settings menu. Now, OneDrive has returned to the “placeholder” model of Windows 8.1. Instead of storing a file on your hard drive, the file is essentially a shortcut to the actual copy stored on OneDrive. using a fraction of the space, and without launching an app or website. (You’ll still have to download any files stored on OneDrive before you can use them.) Now, there’s no reason not to mirror your entire OneDrive on your PC. 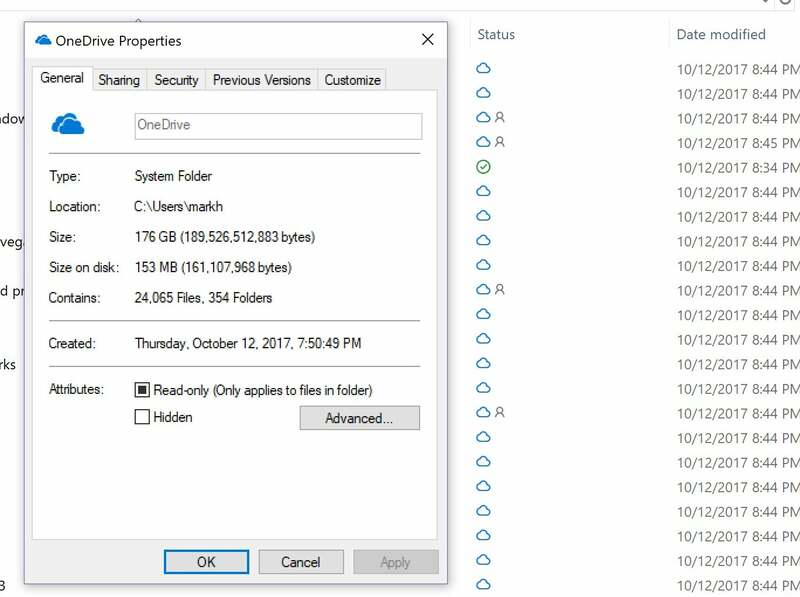 The OneDrive Files on Demand within Windows 10 Fall Creators Update can turn gigabytes' worth of files into a relatively tiny index on your hard drive. For users, there are two important security additions to Windows 10’s Fall Creators Update. In the Creators Update, Microsoft added something called Windows Defender Application Guard: a sandboxed instance of Edge that protected users’ PCs from any drive-by malware on the web. The Fall Creators Update allows those users to enjoy more web features, and store downloads and cookies, within the protected environment. You’ll probably like another security feature even better. The PIN code you’ve used to secure Windows now accepts letters and special characters as well as numbers. It's still just four characters at a time, but you can make the PIN harder to guess. Previous Windows updates made Edge the star. Here, the focus is on optimizing Edge as a PDF reader, no Adobe Acrobat needed. New capabilities include fillable fields, markup, and even the ability to ink a digital signature right within Edge. All told, Edge is now the best of all browsers at handling PDFs—though power users will want more. Read our thorough hands-on of Microsoft Edge as a PDF reader for more information. Edge’s capabilities now include markup and fillable fields. Edge also gains a few minor powers. You can annotate ebooks and pin websites to the taskbar within Edge. If you prefer to run an app like Slack as a web app rather than a dedicated app, it works, though Edge reloads the page every time you check it. Microsoft added the one Edge feature whose omission drove some people absolutely nuts: full-screen mode, F5. Yep, it’s finally here. Having learned that Microsoft’s chief executive Satya Nadella is father to a special-needs child, the new input modalities that Microsoft has introduced have taken on a new significance. Here are all the ways Windows 10's Fall Creators Update lets you interact with your device, beyond keyboard and mouse. 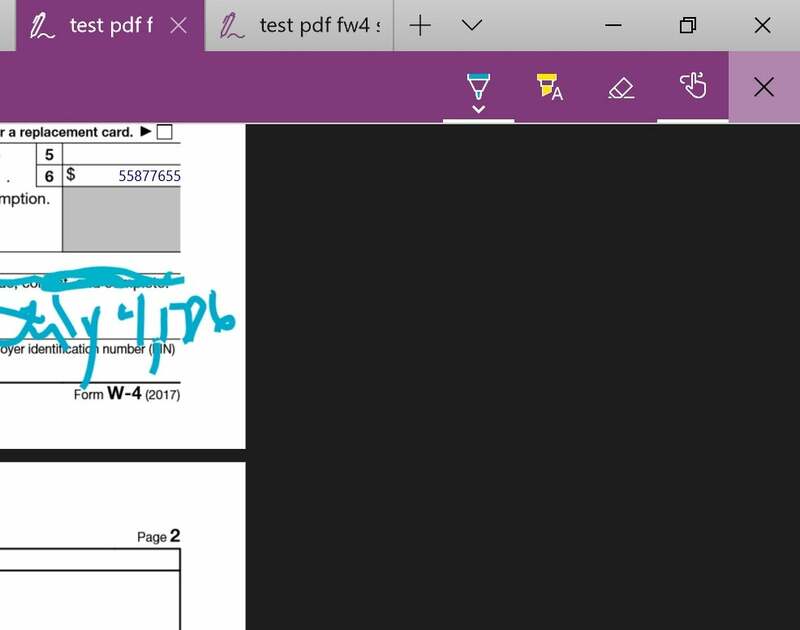 The ink window in the Windows 10 Fall Creators Update has dramatically improved. Microsoft sees the pen as a tool for digital artists as well as everyday users, and for the latter, the Fall Creators Update brings welcome improvements. Unlike the addition of Windows Ink to the Anniversary Update, the inking improvements within the Fall Creators Update are more fundamental. There’s a glitchy “Find My Pen” feature to help you find a lost pen (just add back the Surface pen loop, already! ), and the ability to scroll and select text with the pen that feels a bit forced. Though dictation has lived within Windows since Windows Vista, you’ve probably never used it. It’s been hidden within the Control Panel, it requires training and a headset, and it's clumsy and painful to use. Now, it’s right out in the open: the WIN+H key turns it on, and you can begin dictating in Word, PowerPoint, a webpage, or just an ordinary text field. Two things hamper dictation within Windows: accuracy and control. Even if Windows achieved 90-percent accuracy, that still would require 10 corrections for every 100 words. Unfortunately, Windows’ accuracy is somewhat south of that, maybe 80 percent or so. Even worse, correcting mistakes is simply too clunky to be useful, with oral commands that you’ll struggle to master. I was pleased, though, to see that some technical jargon (“ransomware”) was recognized and correctly transcribed. 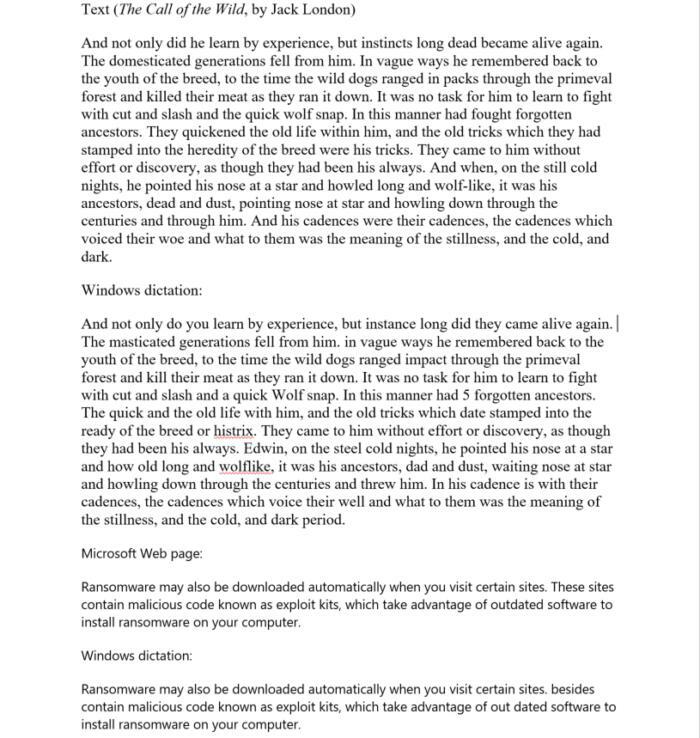 Part of the test document for the Fall Creators’ Update’s dictation capabilities, indicating its accuracy. Eye Control: Assistive today, productive tomorrow? Windows 10’s Fall Creators Update includes a brand new input modality: Eye Control, an assistive eye-tracking tool for those with degenerative nerve diseases and related disorders. Like mixed reality, it requires dedicated hardware—specifically a Tobii 4C eye tracker, for now. Essentially, eye tracking replaces a mouse: You look at a spot on the screen, and your cursor follows your gaze. Lingering there for a moment brings up an overlay for you to fine-tune and then click your selection. In keyboard mode, users can either “type” out words, or use a mobile-phone-like keyboard and predictive guesswork to speed things up. The entire process is slow but surprisingly functional, even if a typical user would vastly prefer either a mouse or touchscreen. Next page: Phone/PC integration, Windows Mixed Reality, and bottom line. At one time, Microsoft had grand ambitions to tie mobile and desktop devices together with Windows as a common OS. 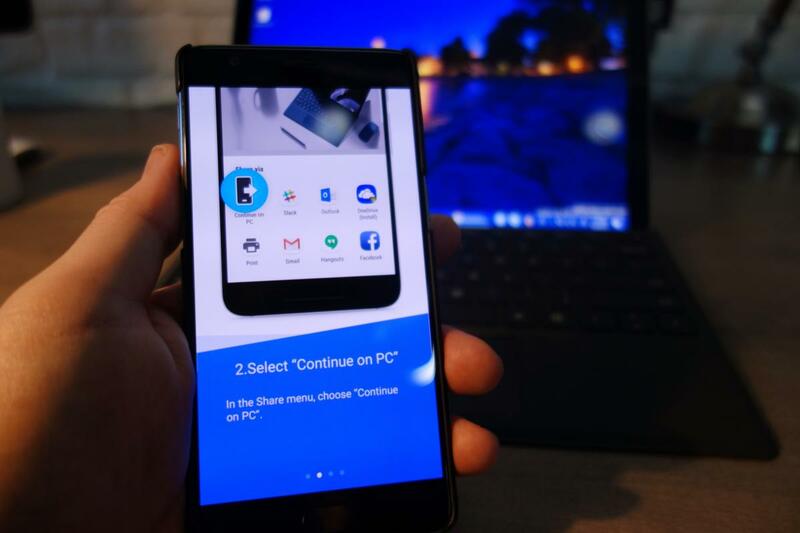 Now that Microsoft has essentially declared Windows Mobile dead, its new mobile strategy extends Windows experiences to Android and iOS, using apps as connective tissue. Within the Fall Creators Update's Settings menu there’s a new Phone section, which connects your PC to your phone via an app called Microsoft Apps. Edge lets you “share” Web pages to your PC. Personally, I think the best thing about the new phone-PC integration within the FCU is a tiny feature: the new ability to reply to (only reply—not, sadly, to create) texts on my phone, right within Windows. 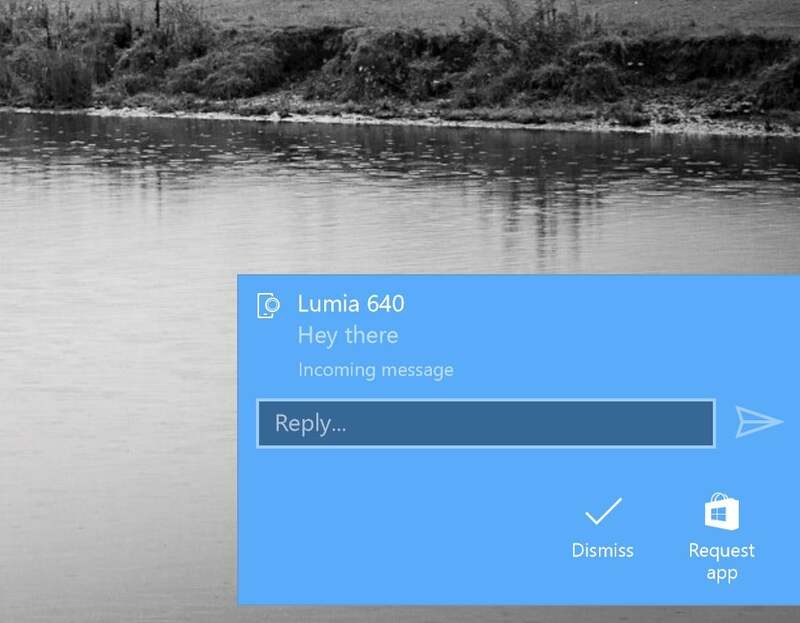 Harman/Kardon’s Cortana-powered Invoke speaker will be able to place calls, using Skype. Cortana now also talks to smart-home devices, a feature Microsoft added at the last minute and that I didn’t have a chance to try. Texts sent to your phone pop up in your Action Center. Microsoft’s grade here? Incomplete. Microsoft is literally years behind Amazon in the smart-home space. Sharing a webpage between device is something I did just once or twice, as I would usually find the time to keep reading it on my phone. Microsoft’s services are going to have to exceed the capabilities of Amazon and Google's offerings, and I’m still skeptical. Possibly the biggest bet Microsoft and its partners are making is with mixed reality, its umbrella term for augmented reality plus traditional virtual reality. Five mixed reality headsets from Acer, Dell, Samsung, and others are nearly here. But ignore all of the confusing language: The “mixed reality” devices Microsoft wants you to buy are tethered virtual-reality headsets and controllers, priced between $399 and $499, that run Windows. You’ll also need a PC (either a desktop or notebook) capable of running mixed reality. We hope to dedicate a more exhaustive review to mixed reality. I’ve tried these partner mixed-reality headsets on four separate occasions, and came away impressed. But only Acer made its headset available just before the Fall Creators Update. That won’t cut it. Microsoft’s mixed-reality environment is built around a "cliff house" environment, where users can move from virtual room to virtual room, interacting with apps and pinning them to walls, much like placing a window on your desktop. Users “point” with the controllers, which must be visible to the cameras on the mixed-reality headsets, then “teleport” by flicking the thumbstick. It’s certainly fun if you’ve never tried it before, but we have reservations about how well the hardware works. Acer’s Windows Mixed Reality headset is a flagship VR headset for Windows 10. Apps, though, will be where VR will succeed or fail, and it’s not clear what games Microsoft will make available in its store. (I’ve seen three: Superhot VR, Space Pirate Trainer, and Halo: Recruit.) All are shooting galleries, and the Halo game seemed disappointingly humdrum. Mixed reality will eventually be able to run SteamVR games, by far the largest bucket of content. But that capability won’t arrive until the holiday season, potentially leaving the VR enthusiasts who haven’t already bought a Vive or a Rift twiddling their virtual thumbs until then. It’s unfortunate that Microsoft’s biggest question mark is also its most significant initiative. Fortunately, the rest of the Fall Creators Update is a more definite win. Time will be the final judge of the Windows 10 Fall Creators Update. 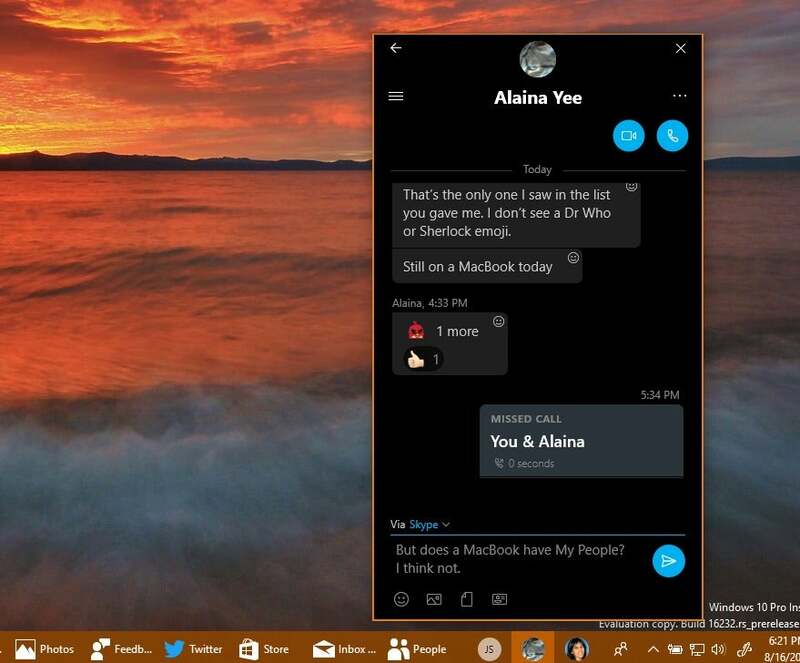 Looking back, Windows 10 features like Cortana and Windows Hello have stood up over time, while the virtual desktops of Task View have not. Today, the just-under-the-wire debut of mixed reality deals it a tough hand. 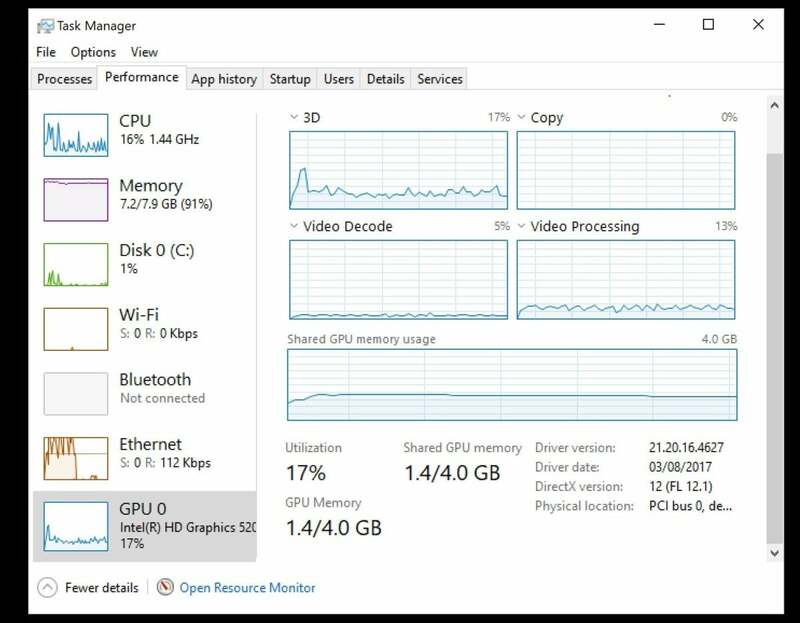 The new 3D portion of Task Manager. Believe it or not, there's even more under the hood than we've had a chance to dig into: Windows' Game Mode, for example, devotes more resources to UWP games then before, helping to improve performance and hopefully resolve stuttering issues. Ubuntu is now part of Bash. A setting called Xbox Networking tests your gaming latency, and lets you know if Xbox Live services are online. PCWorld's guide to the Windows 10 Fall Creators Update's best new features rounds up those helpful little extras and more. But within the Fall Creators Update, the Story Remix/Mixed Reality Viewer/Paint 3D trifecta is a solid, fun foundation for building a creative experience. Features like the improved pen navigation, eye tracking, and dictation ably serve niche audiences who depend on these features. Finally, it’s the little, useful conveniences—checking a text message that pops up on your screen, OneDrive placeholders, video playback optimizations—that feel like they’ll stick. The Fall Creators Update feels like the most significant release since the debut of Windows 10. Its weight rests in part upon the number of new Windows devices you’ll be hearing about over the next few weeks, from the Surface Book 2 to the Invoke to the Xbox One X. All will involve Windows in some way. If Microsoft cares about Windows, though, the company needs to start telling others about it. Many feel that services like Groove Music and the Zune died of neglect. Office 365 apps learned this lesson—each update to Word or Excel is accompanied by blurbs that trumpet their new features. Windows? Microsoft barely acknowledges when an update takes place. The engineers behind the Windows 10 Fall Creators Update have delivered an update that’s worthy of praise. Now Microsoft needs to step up and make consumers care.